Bravo Design Blogger Template is another beautiful blogger template which is created and converted by us from WordPress template. 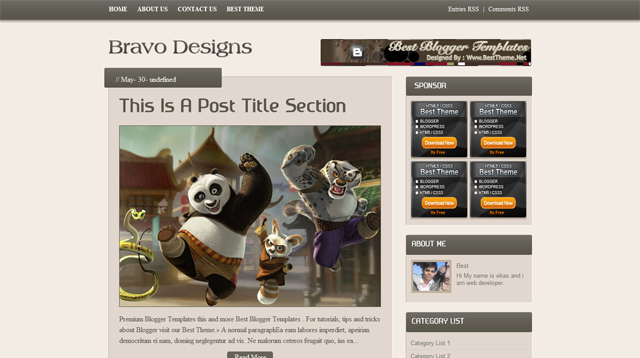 Bravo Design Blogger Template is designed with a perfection of colors, js and latest seo. we have worked very hard to bring this template for with multiple footer area, sidebar, sponsor area, and more.